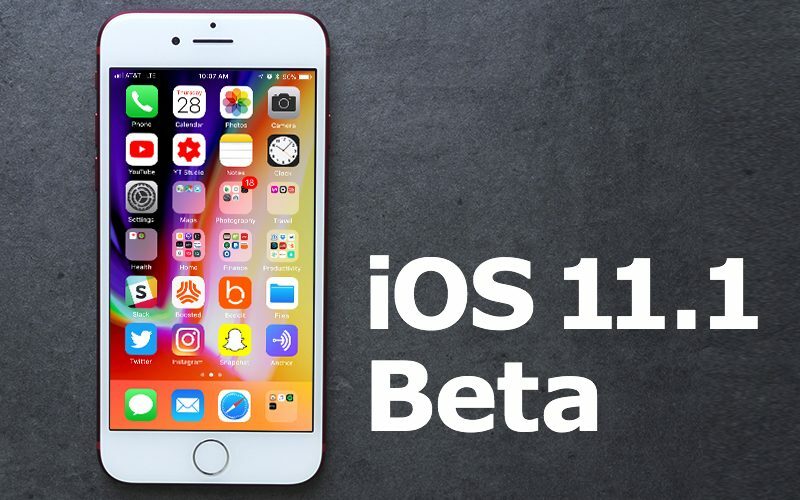 Apple today seeded the second beta of an upcoming iOS 11.1 update to developers, nearly two weeks releasing the first iOS 11.1 beta and a few weeks after releasing the iOS 11 update to the public. Apple said the second beta of iOS 11.1 introduces a range of new Unicode 10 emoji like crazy face, pie, pretzel, t-rex, vampire, exploding head, face vomiting, shushing face, love you gesture, brain, scarf, zebra, giraffe, fortune cookie, pie, hedgehog, and more. Several emoji have also seen some small design changes in iOS 11.1, including the dolphin, octopus, bee, snail, and whale characters, among others. A few other small features were discovered in the initial iOS 11.1 beta. The built-in keyboard in iOS 11.1 now offers up multiple emoji symbols when using an emoji-related word like "cake" or "happy," with each of the suggestions displayed at the end of the predictive text suggestions. There's also an updated camera icon under Restrictions, a new animation when tapping the status bar to scroll upwards, and a faster unlock animation. iOS 11 marks a major update to the operating system with systemwide design tweaks, a new Lock screen experience, a revamped Control Center, ARKit, new app features, and an entirely new interface for the iPad that includes a Dock, Drag and Drop support, and a redesigned App Switcher for better than ever multitasking. Update: Apple has also released the second beta of iOS 11.1 to public beta testers. Apple supports the Unicode standard for encoding characters stored on iOS and macOS, because, frankly, using any other coding system would be insane (the entire world has moved to Unicode for good reasons). The Unicode Consortium has a group that is responsible for approving the addition of new characters and character sets to the Unicode standard, and they keep accepting new emoji characters. Apple publishes software (like this beta) that includes the new symbols (amongst many other changes) in order to keep abreast of the standards, and they don't particularly publicize the new emoji, those usually get little more than a bullet point buried in the release notes. News/rumors sites (which you are reading of your own volition) like MacRumors (not Apple), publicize the new Unicode characters added, and, predictably, such articles get a huge number of hits by people eager to complain about new emoji in iOS/macOS. If you want to complain, complain directly to the Unicode Consortium ('http://unicode.org/consortium/consort.html') about how they should stop adding new emoji to the Unicode character set, and/or complain directly to MacRumors (not on page 5 of the comments, but write directly to the site's owners, their email addresses are at the bottom of the site's front page) about how much coverage they give to new emoji added to Apple's OS's. Complaining about it on page 5 of the comments here only makes you feel good. Honestly Apple, can they just get their ****ing priorities right for once? Agreed. We should move the artists that make the emoji over to fixing bugs. That’s how it works, right? I bet 90% or more of iPhone users use emoji every day, and I bet 99% or more of them would not complain about home button lag, if polled. What would you work on, if you were Apple? Edit: I assume you understand that the same artists designing emoji would not be fixing your perceived issues. iOS 11 is an absolute mess, but thank 8 pound, 6 ounce Newborn Baby Jesus that we have a female vampire emoji. I dont know what I would have done without it. Never understood this type of response. Do you think the people who make emoji are capable of fixing crashes and graphical glitches? What else were the artists that worked on these emoji going to do that would better fulfill your needs? Correction. Apple is more excited about emojis not people. 3D Touch App switcher returning is a huge win for me! Nice to see Apple responding to complaints.